Across Detroit, fleeting symbols of the past hide in plain sight, behind weeds and under veneers of paint. Demolishing a vacant building among empty storefronts on the west side uncovered the telltale gold and green of a Vernors Ginger Ale sign, preserved almost as vibrantly as the artist intended. In faded red, white and blue, Mac-O-Lac Paint makes an expired pitch to passersby on Gratiot near Eastern Market. On the east side, Mohawk Rock and Rye still declares itself the "World's Finest!" Carhartt, Stroh's and Faygo appear in odd, deserted places. 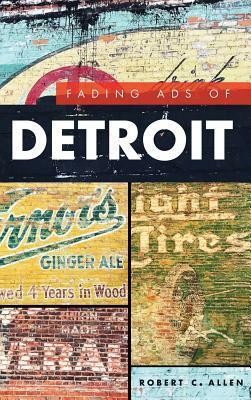 Detroit Free Press journalist Robert Allen sifts through these advertising fossils, exposing the gripping stories connected to the Motor City's historic rises, falls and eccentricities.